Michigan and SMU ended their Regional Round play with 2-0 records in the 22nd annual 2K Classic benefiting Wounded Warrior Project on Sunday. In Ann Arbor, four Wolverines scored in double figures as Michigan captured a 77-65 win over IUPUI. Zak Irvin led the Maize and Blue with 15 points. 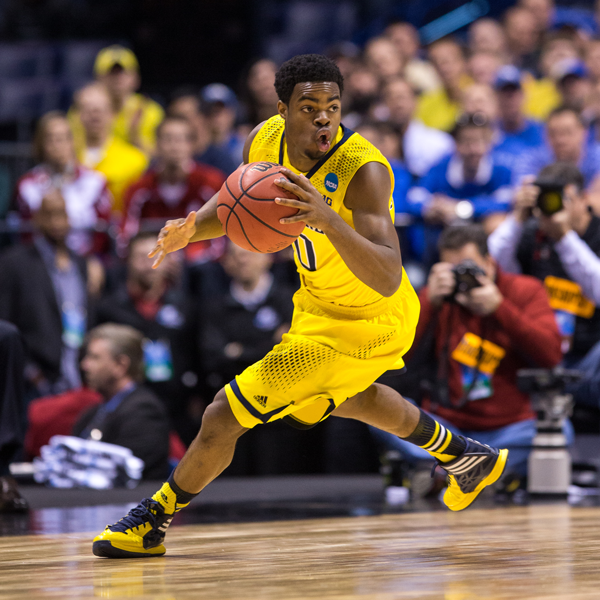 Mortitz Wagner had 13 points, Derrick Walton Jr. posted 13 points and 14 rebounds, and Muhammad Ali-Abdur-Rahkman netted 12 points. Michigan outrebounded the Jaguars, 41-30, and had 19 second chance points. IUPUI was paced by Darell Combs and his game-best 22 points. Matt O’Leary netted 13 points and Kellon Thomas had 10. In Dallas, five Mustangs netted double figures as SMU earned a 91-64 decision against Eastern Michigan. SMU’s Semi Ogeleye led SMU with 18 points and eight rebounds with Jarrey Foster also scoring 18 points. Shake Milton tallied 12 points, Sterling Brown had 12 points and Ben Moore added 11 points and six rebounds. As a team, the Mustangs were 29-of-55 from the field. Eastern Michigan’s Ray lee scored a game-high 26 points and Willie Magnum IV had 16 points. The 2K Classic benefiting Wounded Warrior Project resumes on Monday when Pitt hosts Gardner-Webb at 7:00pm (ET) on ACC Plus and Marquette begins play at home to Howard in an 8:30pm (ET) tip on FS1.